A 2 bunk hut (normally a biv but I believe that the fireplace makes it a hut). Hugh vN Believe what you like. :-) There are more bivs with fireplaces. To me its always been Lucretia Biv. 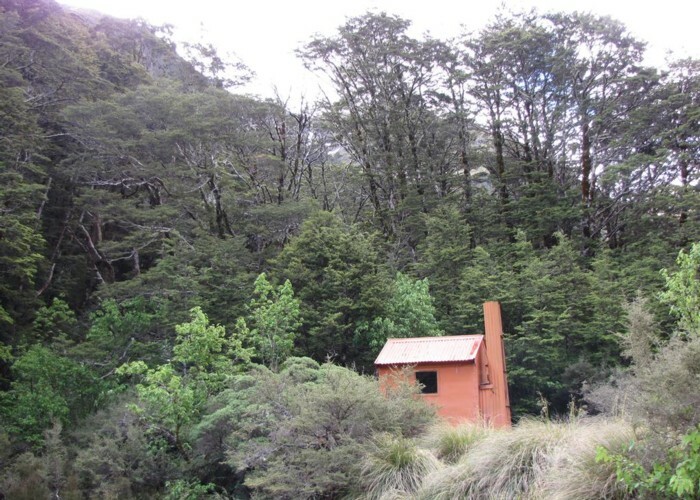 And there is a track to the tops, up the spur you can just see above the hut through the trees. Added 16 December 2010 by gareth13gareth13. No revisions.